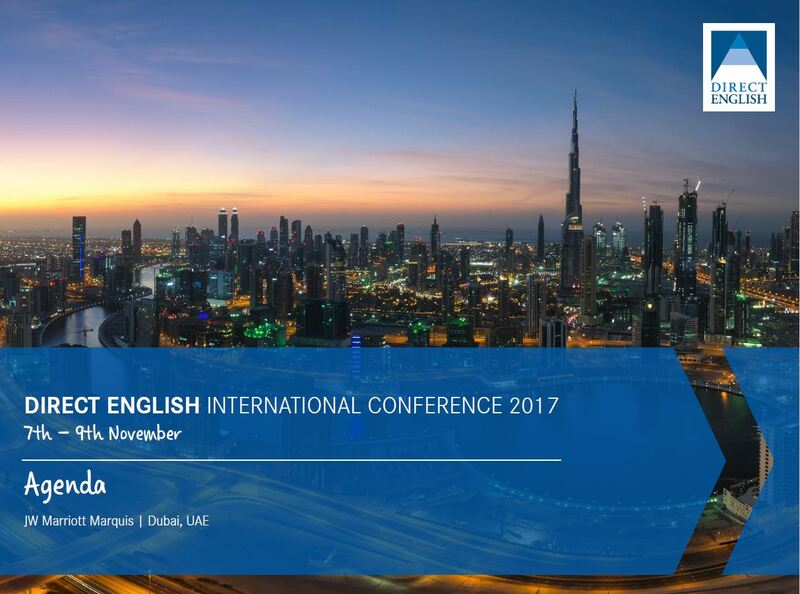 Welcome To Our 2017 Direct English Partners International Conference! territories, and to gain experience from others to help grow your business. The future looks bright for English Training when it comes to the possibilities of technology, our new cutting -edge learning Technology product Direct English Live will be launched and the will show the innovative possibilities that technology can bring to English Education and Direct English Investors.